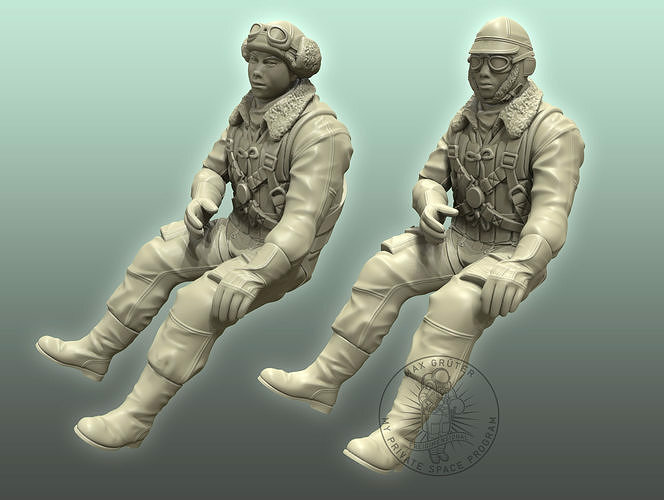 Including a high detailed figure of a WWII, japanese ZERO fighter pilot. 3 variations of pilot heads. THIS IS A FIX PRICE! Very easy to print on an FDM printer with superior static scale detail and a similar finished weight compared to more expensive hand made pilot figures. Great if you're looking for a pilot to fit an odd scale model (in my case 1:7 scale). Highly recommended. 2nd model I have purchased and everything went smoothly . Model is of the same high standard. Would be interested in a WWI pilot both British and German done in the same multi- part format. Great detail, and exactly what I was looking for.